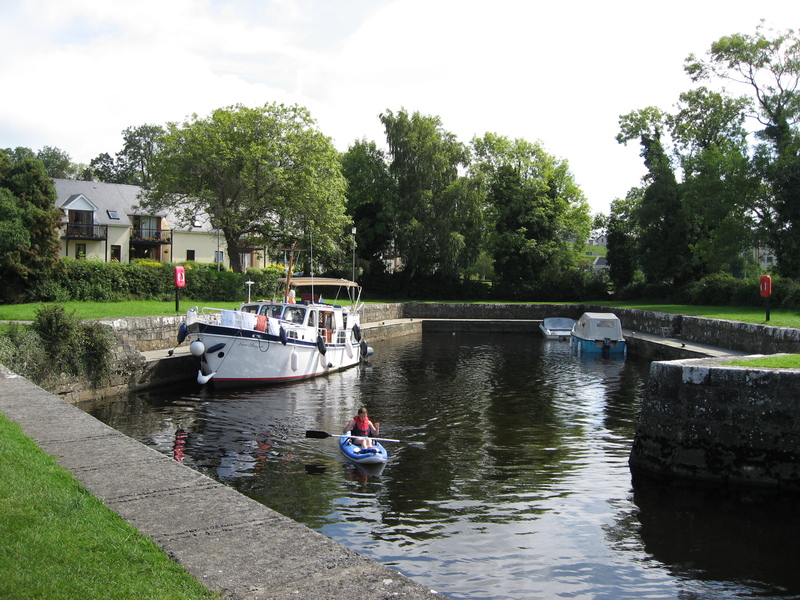 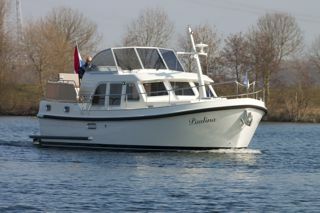 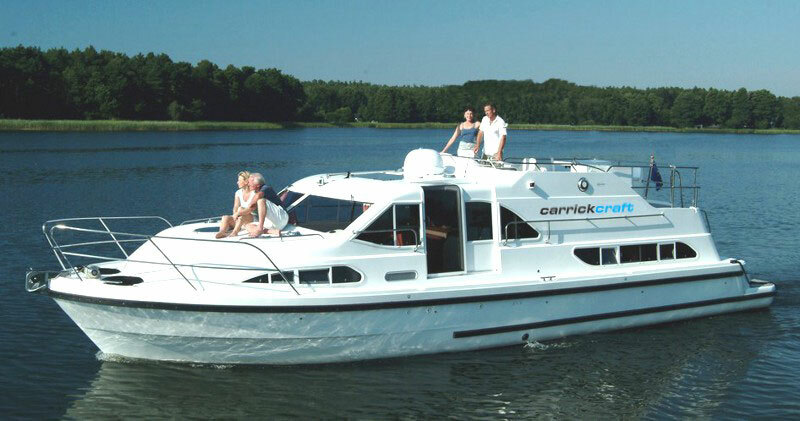 A fine cruiser for three couples or a family of up to six people. 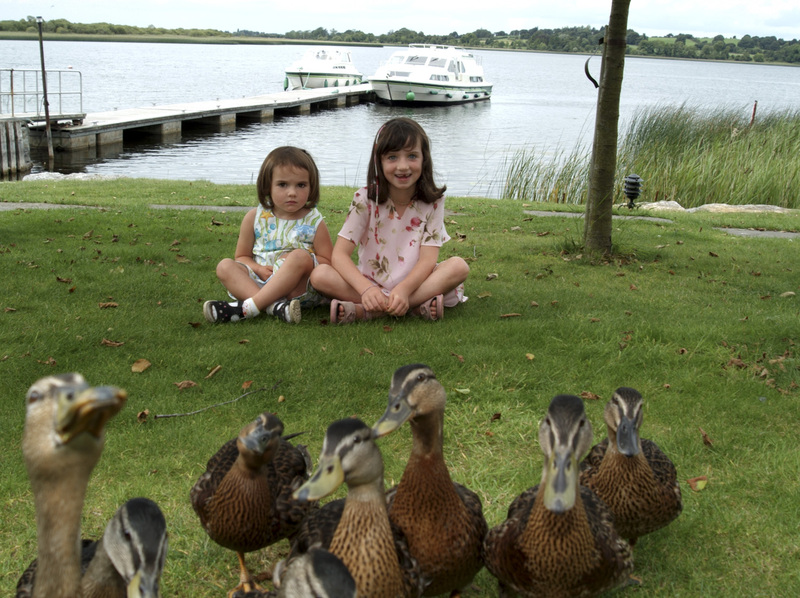 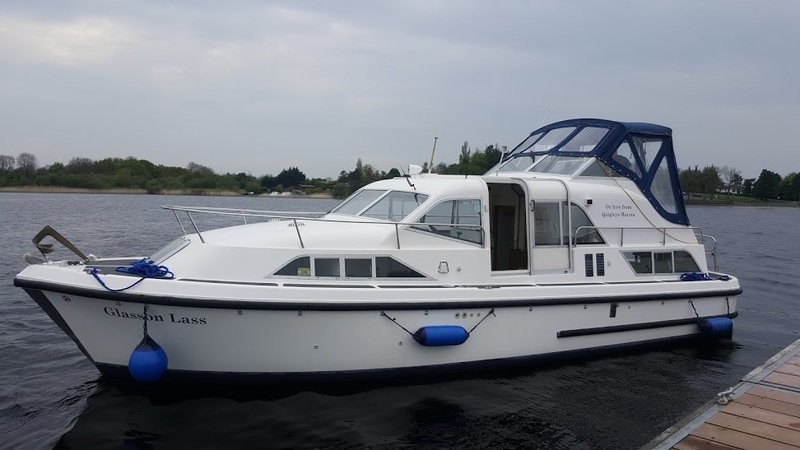 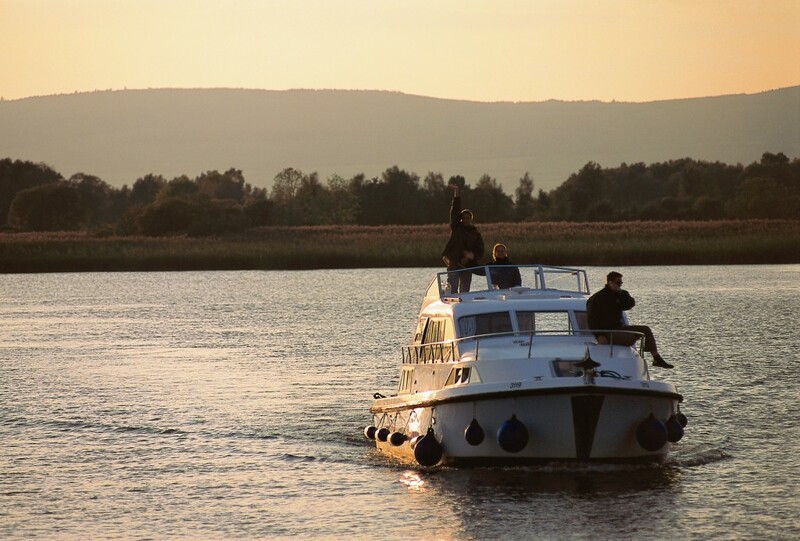 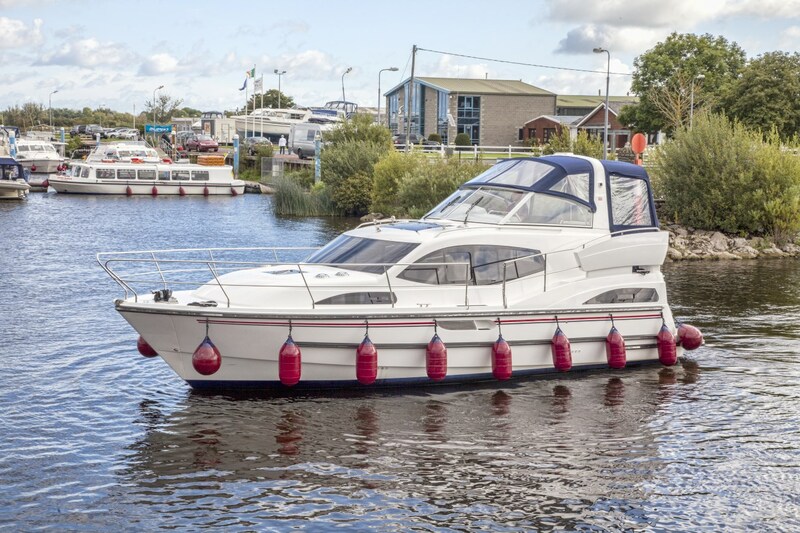 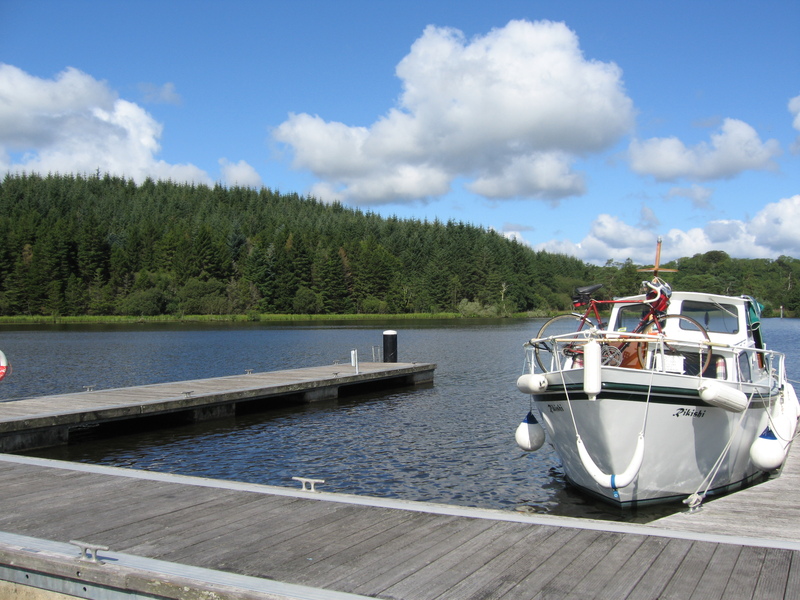 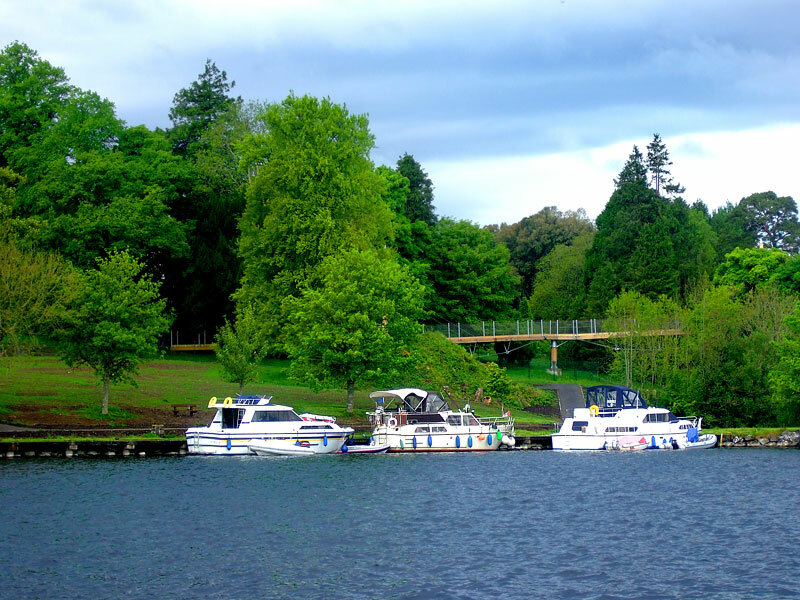 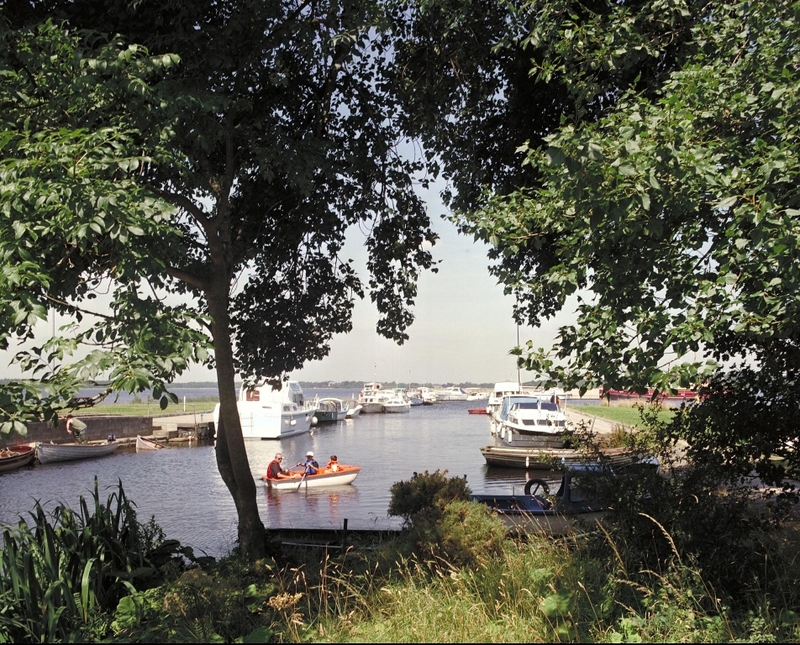 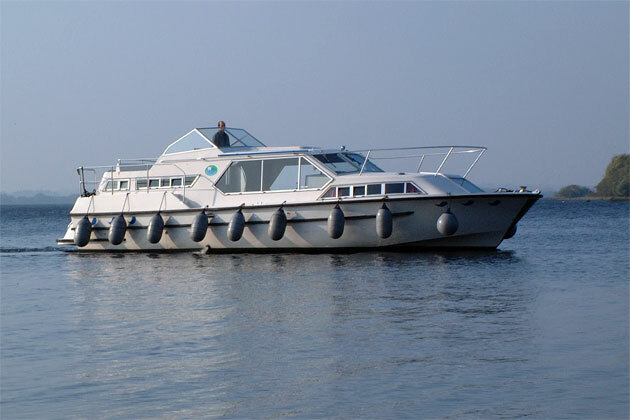 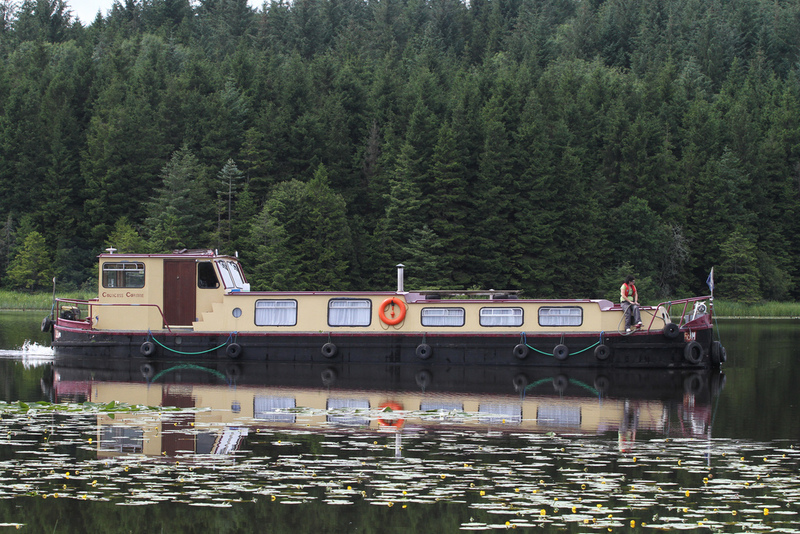 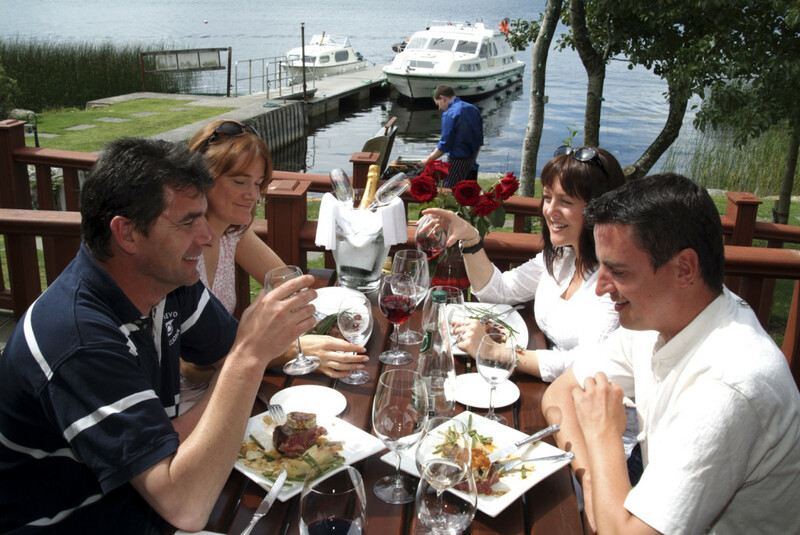 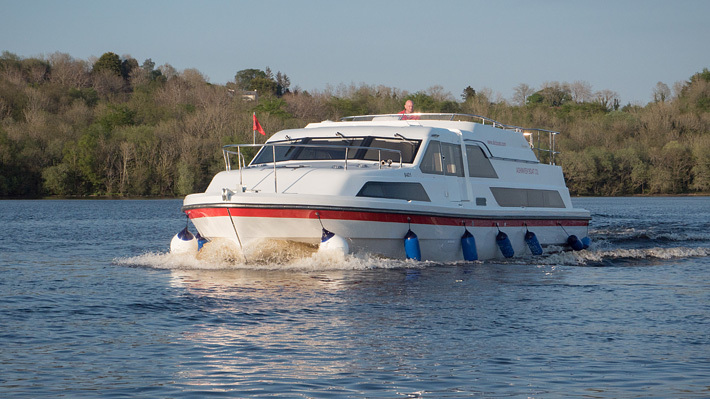 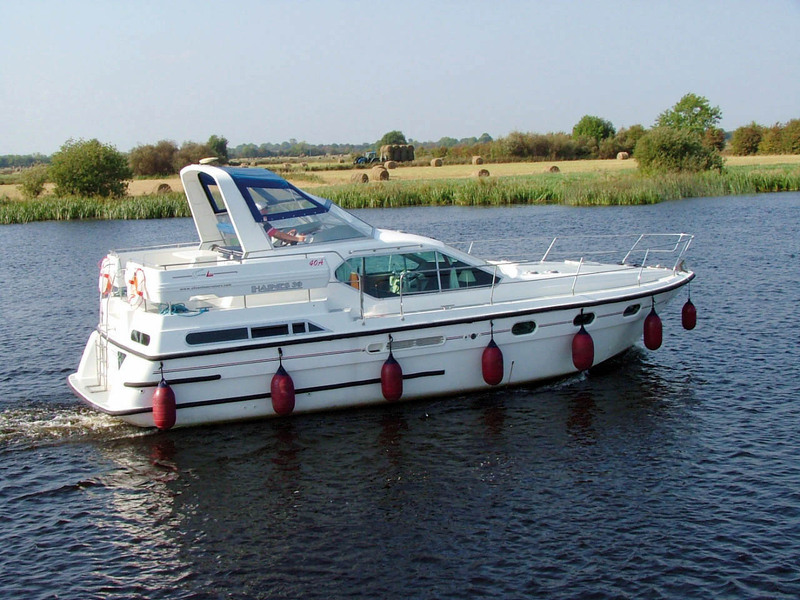 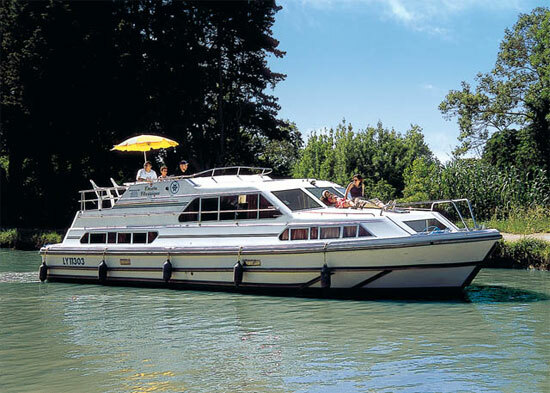 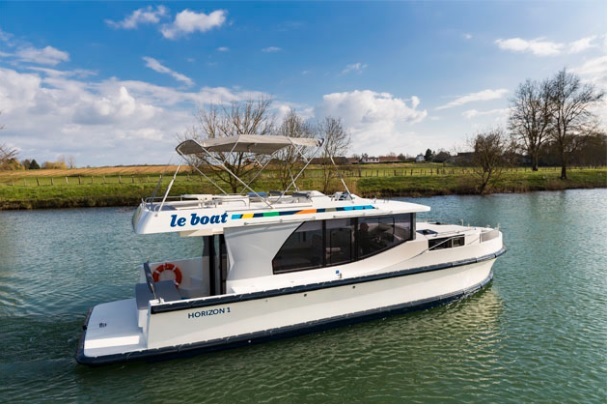 With three separate sleeping cabins, one forward with twin beds convertible to a large double, one midships with a small double and one aft with twin beds also convertible to a double, this is a great family boat. 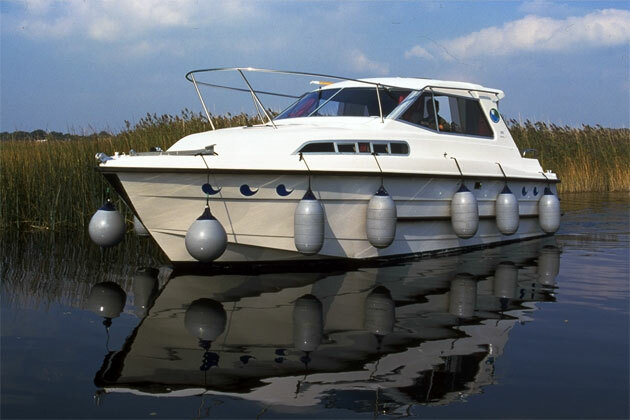 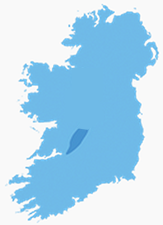 Now fitted with a bowthruster for easy maneuvering. 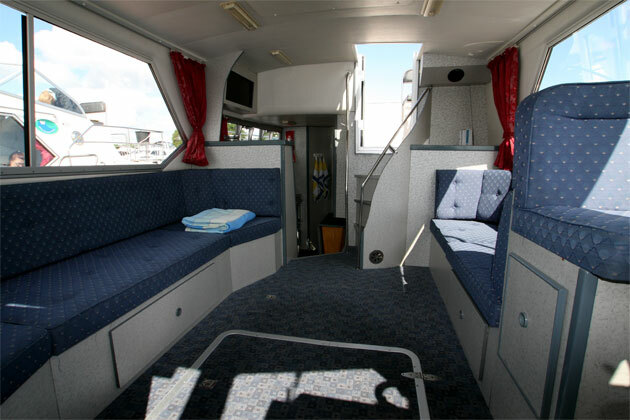 The main saloon has seating for all the guests and has a bright airy feel. 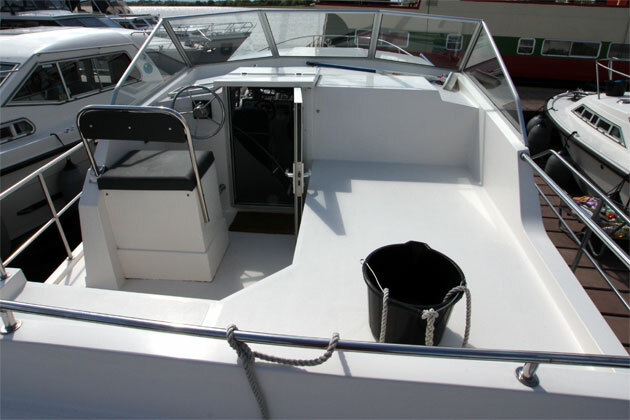 The curved steps up to the deck are an interesting feature – the galley is just at the bottom of the steps. 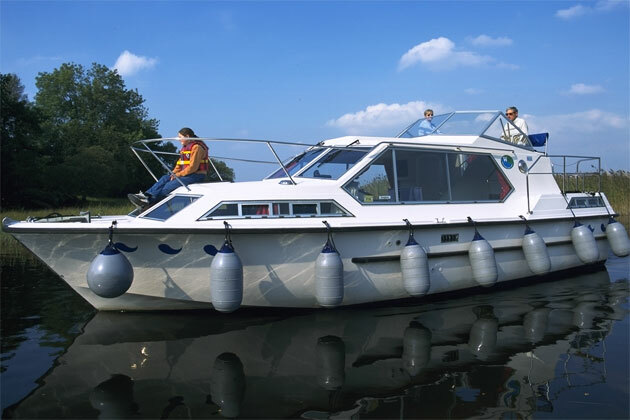 The flybridge has the second helm and seating for your guests. 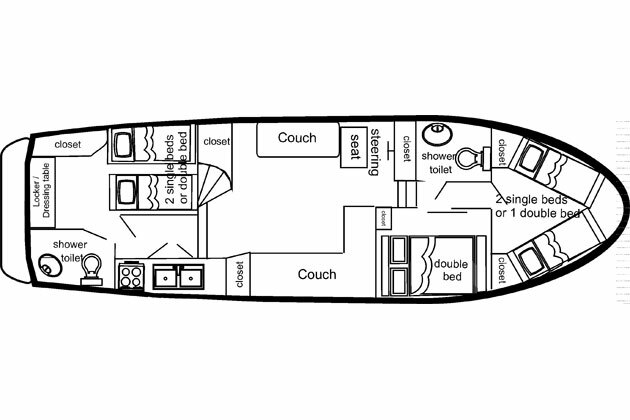 The fully-fitted galley has all you will need to cook on board. 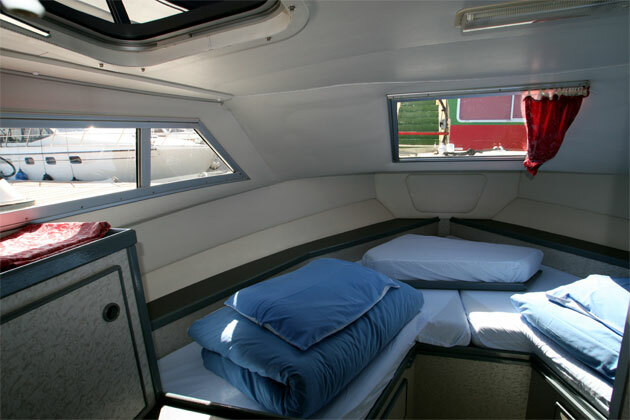 The spacious forward cabin has two single beds, but using the infill this can be converted into a large double bed. 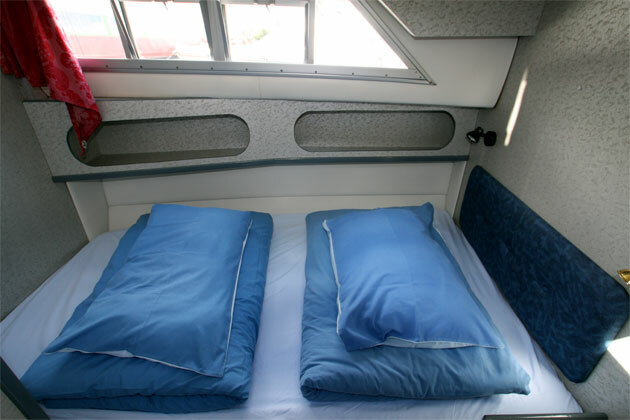 The side cabin has a small double bed. 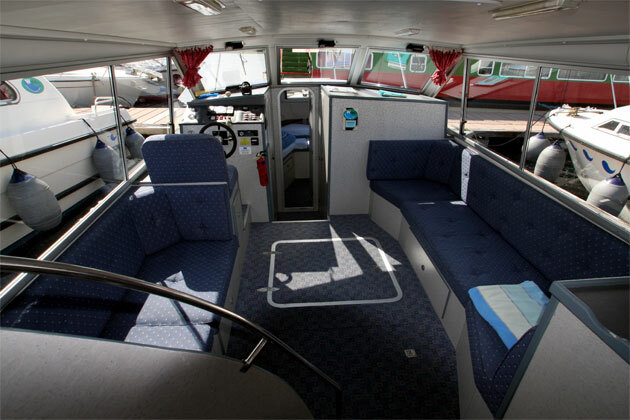 The aft cabin spans most of the width of the boat and so has a very airy feel. 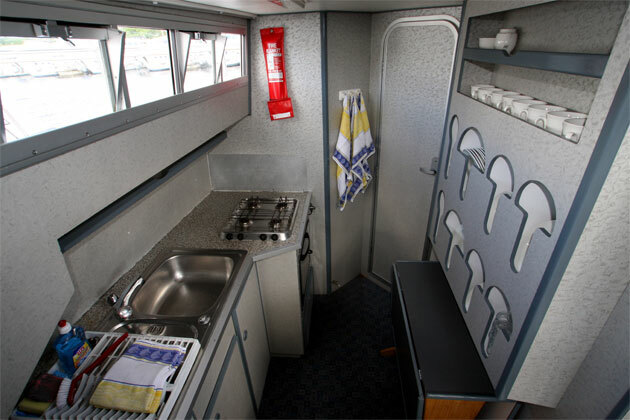 It has an ensuite bathroom with toilet, washbasin and shower. 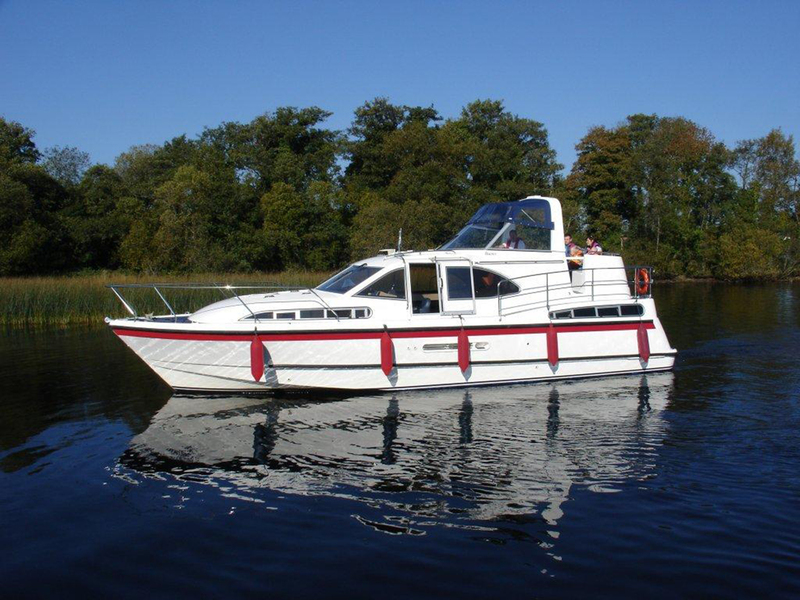 The Wave Queen has a 240V power supply from an inverter fitted as standard.